«Reputed in how it’s portrayed, the Dnieper, augmenting its waters… splits before the city in two arms, of which the main one, rushing straight towards Podol… is referred to as the Dnieper itself. The other one, upon absorbing Desna… enisles Trukhanov and reunites back with the first right opposite the Nikolaev monastery». All of its existence must Kiev Dnieper. Surprisingly advantageously located Kiev controlled the mountains this powerful waterway. But an equally important role played in the birth of the capital of Russia, Ukraine and coastal and island tract. However, their role in the functioning of the city and the formation of its unique landscapes illuminated enough, the study of this issue was of, as a rule, only fragmentary. In general, the study of local history of modern suburbs of Kiev is much inferior to the study of the central historical part of the city, which from the very birth of the city at the center of historical events and to the pages of written sources. Kiev islands and coastal tracts, some of which is directly in the center of the modern city, much less fortunate. They are mentioned only in connection with certain historical events, descriptions of the recreational potential of the city, or not mentioned at all. And if the nature of the islands was devoted to summarizing the work of the Interdepartmental Laboratory basics reserve affairs under the guidance of the outstanding Ukrainian scientist Acad. T.L. Andrienko – detailed design of a regional landscape park "Dnipro islands", as well as their dissertation research of flora, made A. Tsukanova (2005), the holistic study of the Kiev regional studies of the archipelago and coastal tracts, so far, no. In the works of local historicist M.F.Berlinskiego (1799), M. Zakrevskogo (1868) N.N. Zaharchenko (1888) and F.L. Ernsta (1930), we find only a brief mention of some of the islands (mostly Truhanov) or coastal tracts (Obolon Rybalskiy island etc.). Trained as an engineer Maksymovych work "Dnipro in Kyiv mountains. A brief historical sketch of hydrographic and "(1898) and" Dnipro and its Catchment Hydrology and River History "(1901) also contain very little information on coastal tracts and islands. Some information is found in the work of Golubin (1917). In the 1990-2000-ies. matter tracts and stories of coastal islands (again, mostly – Trukhaniv) paid attention Kyiv historians such as V.S. Gavriliouk, I.A. Rechmedin (1956), L.A. Ponomarenko (2003), M.B. Kalnitsky (2008), D. Wortman (2007). Valuable compilation of the history of the valley of the Dnieper in Kiev, in particular left-bank floodplain sites, the difference is between N.A. Rybakov's "Unknown and unknown pages of Kiev” (1997). Some information can also be found in the "Kiev Dnieper" (1988). A brief summary on the basis of the materials collected for Trukhaniv (2004) and Zhukiv (2004) Islands prepared by V.I. Dzivaltovsky. 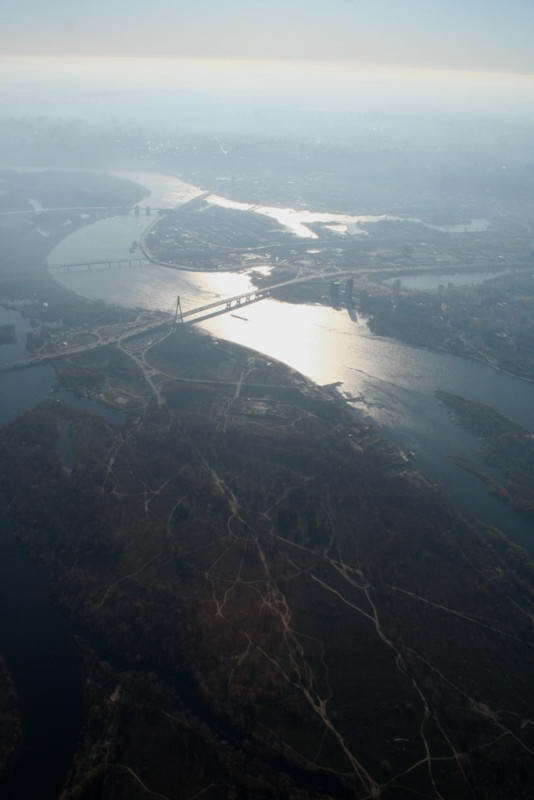 Various aspects of the Dnieper in Kiev present in the work of V. Vishnevsky (2000, 2005). In 2008 he published the special book. Also VII volume of he "Kyiv Miniatures" cycle by V.V. Kovalinsky – "Kiev on the Water" (2008) was printed, which revealed a lot of questions on the history of the island, especially Trukhaniv, whole Dnieper valley, bridges, etc. Also published a collection of local history articles on the valley of the Dnieper in Kiev – "Dnieper banks", prepared by a master of his the case – Kiev local historian V. Lysenko (2008). If in case the botanical characteristics of the Kiev Dnieper River valley has a number of information, the faunal summaries definitely not enough. The ability to compare the archival information on the fauna located within the City section of the valley of the Dnieper prepared DE Beling (1914) and M. Charlemagne (1914, 1916) give some modern observations by J. Dubrovsky, S. Loparev, A. Godlevska, I. Balashov, V. Titar, N. Atamas, V. Kostyushin, A. Nekrasova, etc. Thus, despite the accumulation of diverse material on the topic of biological, historical and cultural value of the objects within the valley of the Dnieper in Kyiv, a common set of values of the various aspects of the Kyiv insular system available to the general public yet. This situation is very favorable greedy government of favourites, reigning in Ukraine. They try to go according to the lucrative American scenario that turned the once beautiful green island of Manhattan, buying from the Indians for fishing hooks, a maze of glass and concrete. Thoughtless destruction of islands and coastal tracts in Kiev becomes an example for other "island" of Ukrainian cities, such as Dnepropetrovsk, Zaporizza, Kherson, Cherkasy, etc. Since 2003, due to the activation of plans for economic development of the Dnieper islands and coastal tracts, the author of this monograph, there was a plan to collect all the available information about the natural values and the historical path of the objects of the valley Dnieper in Kyiv. Thus, there were some available to the general public essays about the exceptional value of island territories, which were placed in the main author of a popular science magazine "Country of knowledge" and on the website of free journalism "Highway" (). Subsequently, there was an idea to combine these essays with the results of the author's parallel detailed botanical studies and general natural valley of the Dnieper in Kiev. Thus, there was this stuff that we hope will be useful not only in love with the city of eccentrics, but also the general public. The author is grateful for the assistance in the preparation of this work for Zavorotnaya A., K. Polyanska, D. Inozemtseva, D. Wortmann, A. Smal, B. Boreyko, A. Vasylyuk, A. Kuzyak, V. Lysenko, B. Kulinich, A. Vyalets, A. Slenziak, M. Shevchenko, Yu. Grechishkina, S. Mosyakin, I. Andreev, A. Godlevska, V. Nehoda, M. Zharkikh, N. Miryuta, M. Kuchma, J. Balashov, T. Parkhomenko , N. Petrenko, V. Dzivaltovsky, V. Kolinko, J. Dubrovsky, G. Krasnova, I. Makozhur J., A. Smal, A. Kaynaran, I. Zagorodniuk, N. Atamas, L. Gornovich, A. Nekrasova, Yu. Kutsukon, A. Skvorchinsky, A. Nadeina, P. A Testov, K. Voitsekhovsky, M. Shkvyrya, D. Wisniewski, L. Moshechenko, V. Iwaniec, A.Plyga, T. Belych and the entire staff of History and architectural monument-museum "Kyiv fortress."